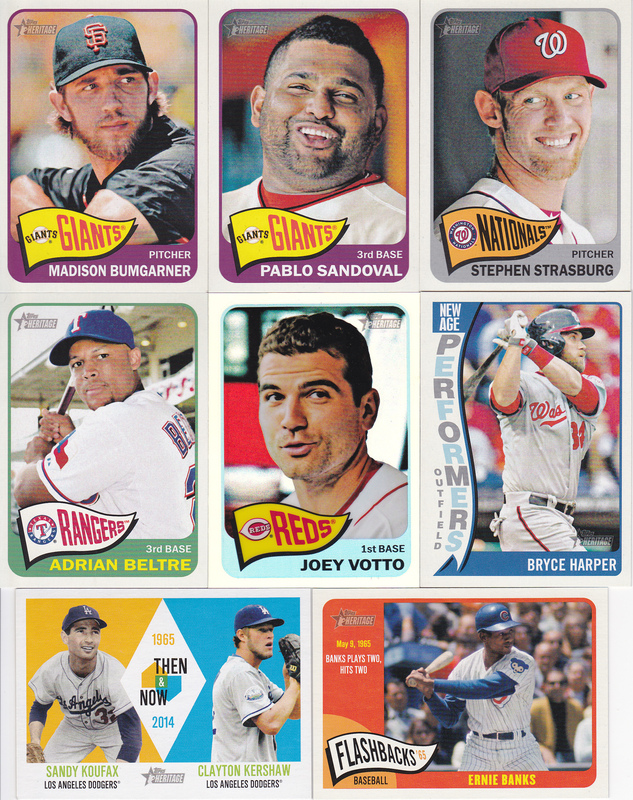 I finally ponied up and got boxes for the rest of the Topps 2014 flagship product. I got two boxes last month – one for series 2 and one for Update which had just been released. 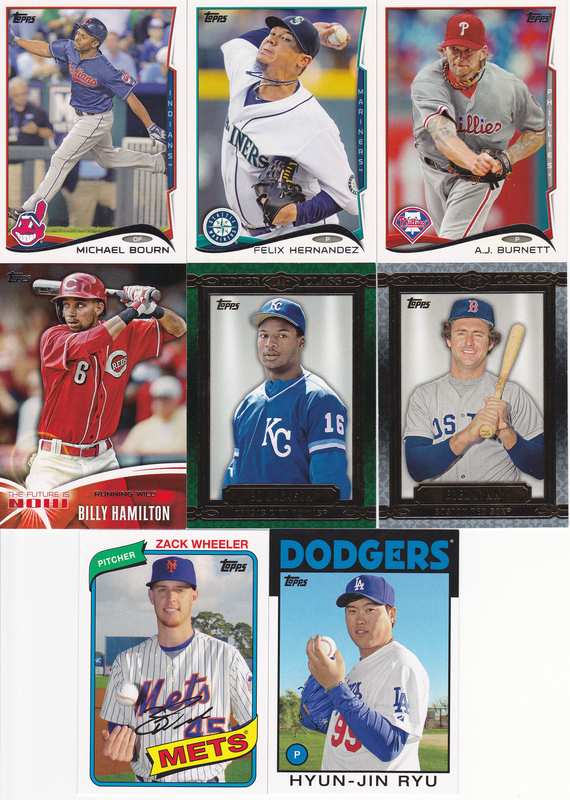 I got a Jumbo HTA box for Update, but a regular hobby box for series 2. 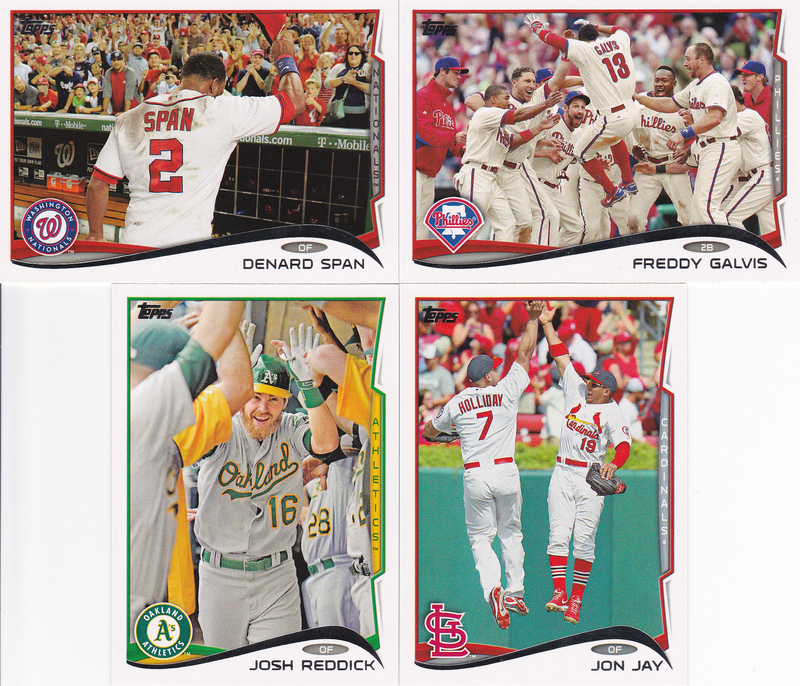 That’s usually against my mantra – I think the jumbo boxes are much better values. But series 2 seemed to be much pricier than Update, so I went with the cheaper option. In series 1, Topps included cards of 2 HOF-caliber players who had retired the year before, so you got their full career statistics. 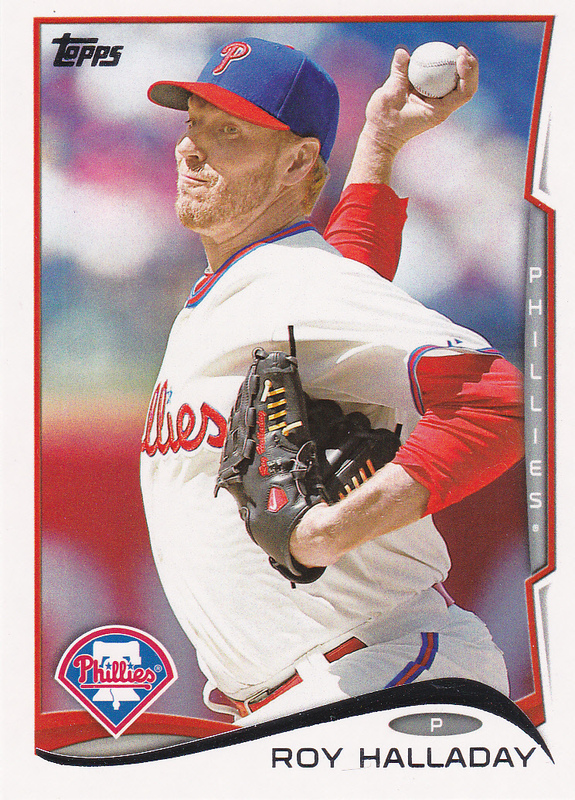 I noted they were missing one other retiree who was on that level – and in series 2 they did include Roy Halladay. His final stat line includes 203 wins, 2,117 strikeouts and 3.38 ERA. I think he’s HOF-worthy, though I really wasn’t expecting him to fall off the map so quickly in 2012 and 2013. 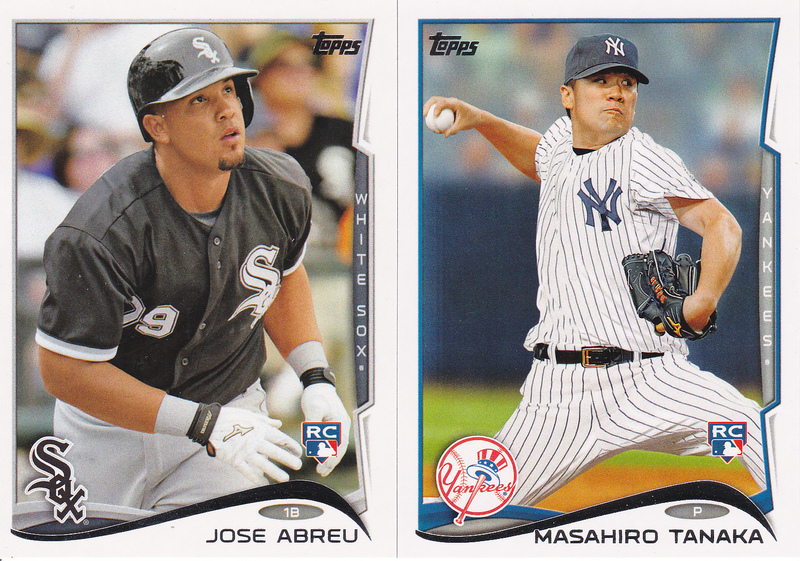 Topps also included 2 other recent retirees – though these 2 teammates retired at the end of 2014. 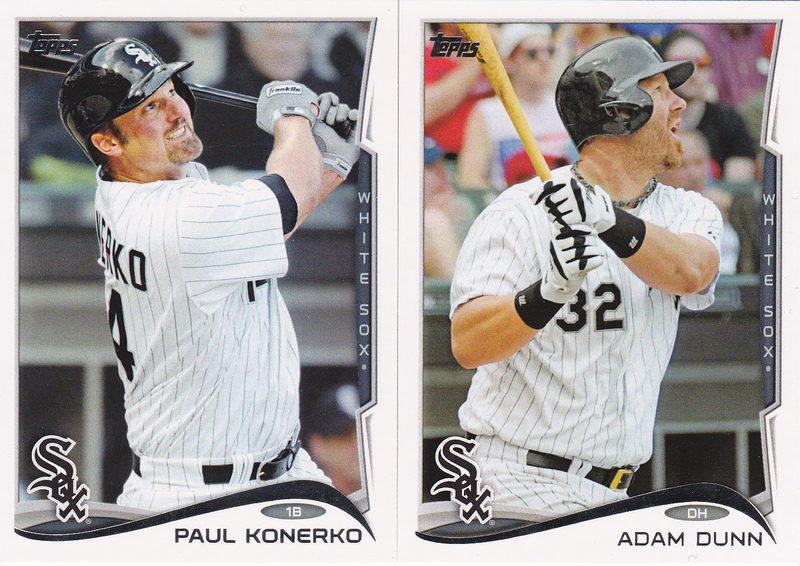 This could be Konerko and Dunn’s last cards, though I hope they have a final card in next year’s set. 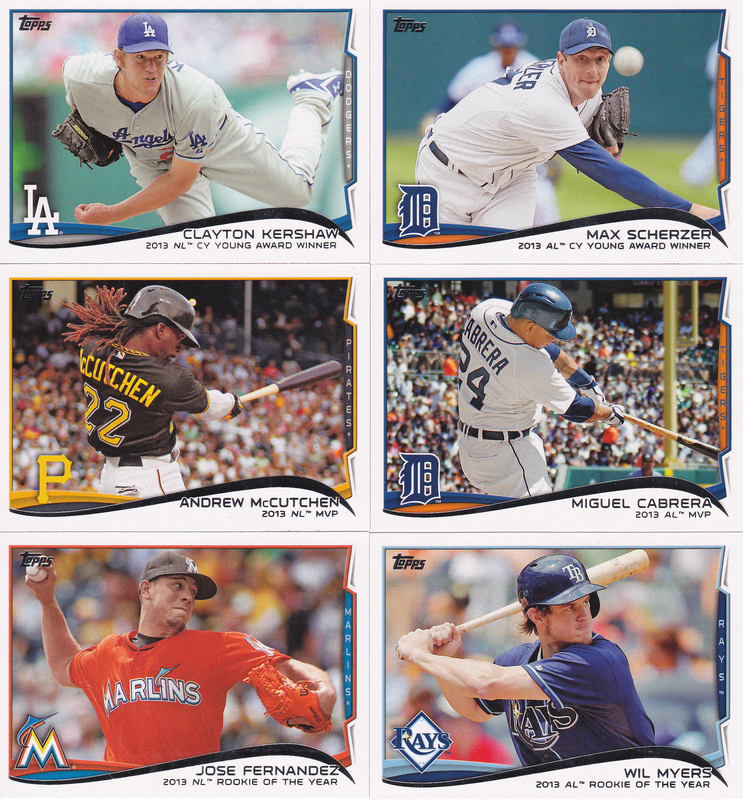 Topps always likes to get some of the rookie phenoms into series 2, and this year the top two Rookie of the Year candidates in the AL were guys who had played professionally overseas. 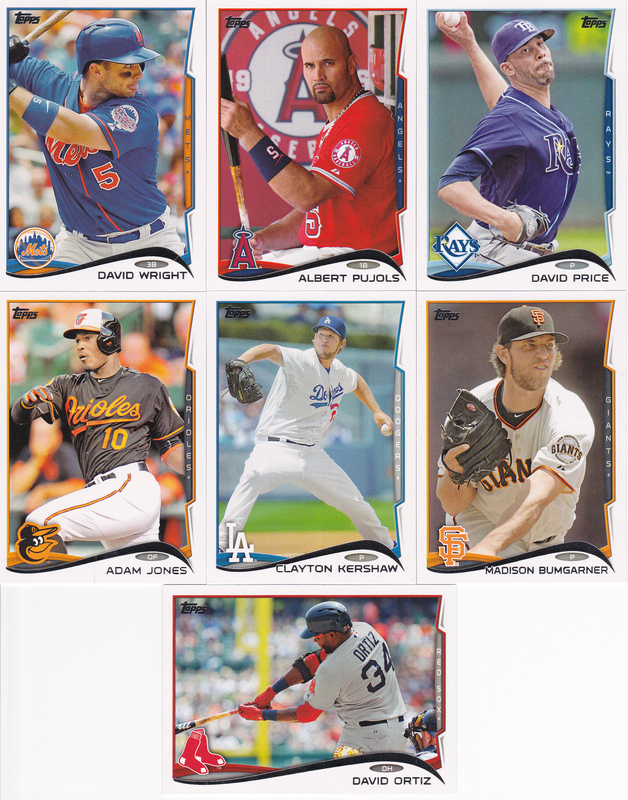 The National League equivalent, Jacob Degrom, made his way into the Update set. Funny how I’ve shown 3 White Sox first baseman in the past two photos. 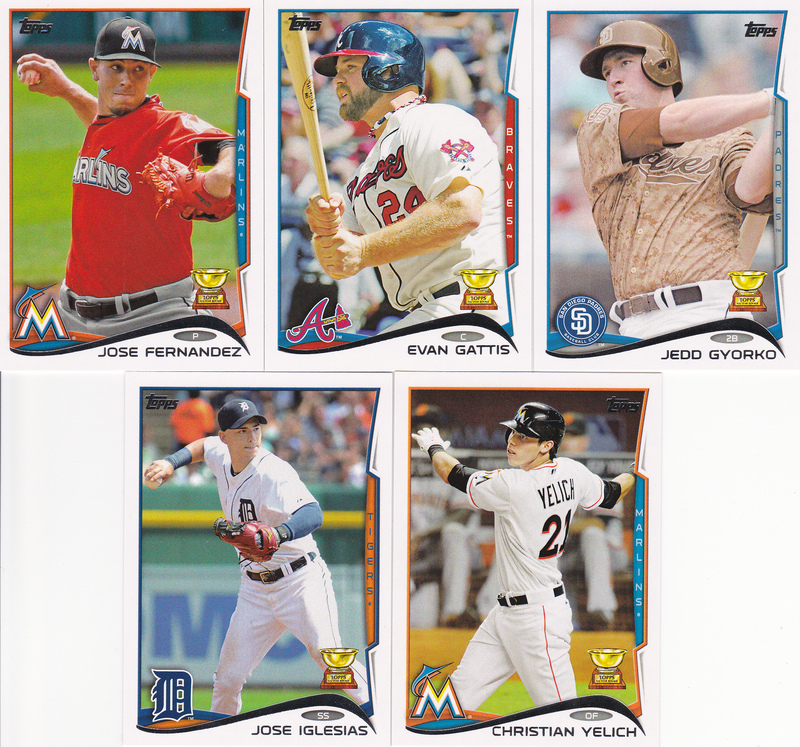 Topps also finishes up the Rookie Cup cards in series 2 – after 6 cards in the first series, there were 5 more in this product. 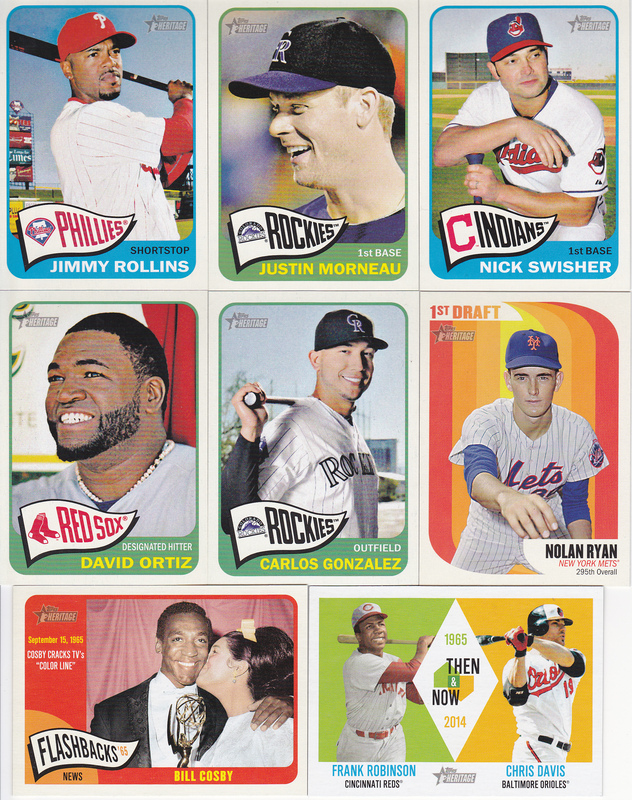 About 15 years ago, Topps started getting a lot of the new free agent signings into series 2, as opposed to Topps Update. I think Clemens may have been the first one back in 1999. Here’s the biggest names in new uniforms this year. New this year but back from series 1 is the Future Stars subset. There were 10 guys in series 1, and 12 (at least) in series 2. That’s too many Future Stars for my liking! I liked the 5 players from 87/88/89/90/91! Celebration was a theme of this set in both series 1 and series 2. There’s a few in this series as well. Here’s a few action shots I liked – funny how all of them are horizontal action shots. The Lorenzo Cain is my favorite, but the Russell Martin is particularly interesting since that’s now an outlawed play! And there are also a few really good non-action photos – two of them from my Reds squad. Gotta love Great American Ballpark shown in the background! The other thing that’s included in series 2 are all the award winners. I miss the days where subsets looked more distinct from the base sets. 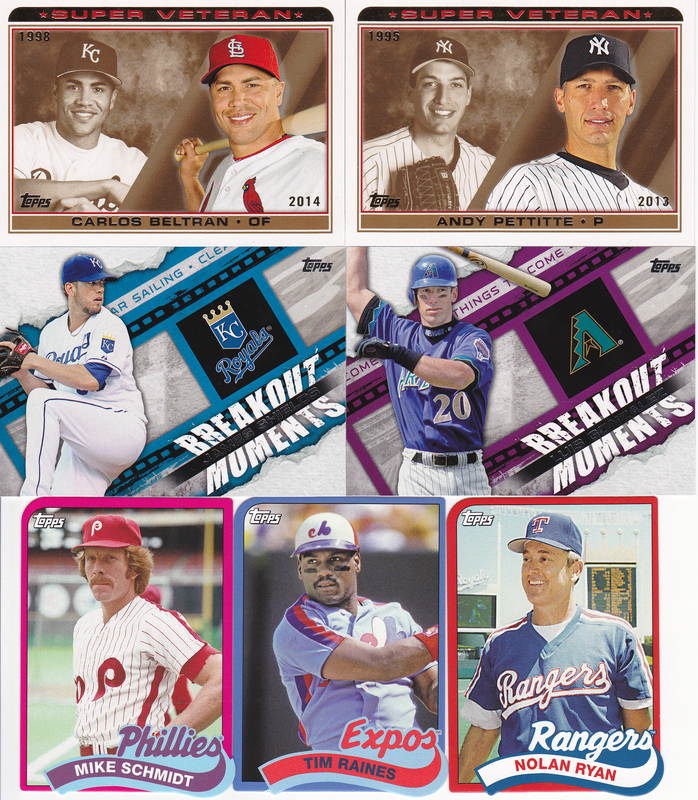 Last but not least, series 2 is one half of the regular set – so it naturally has some of the better players in the game for, well, regular reasons. 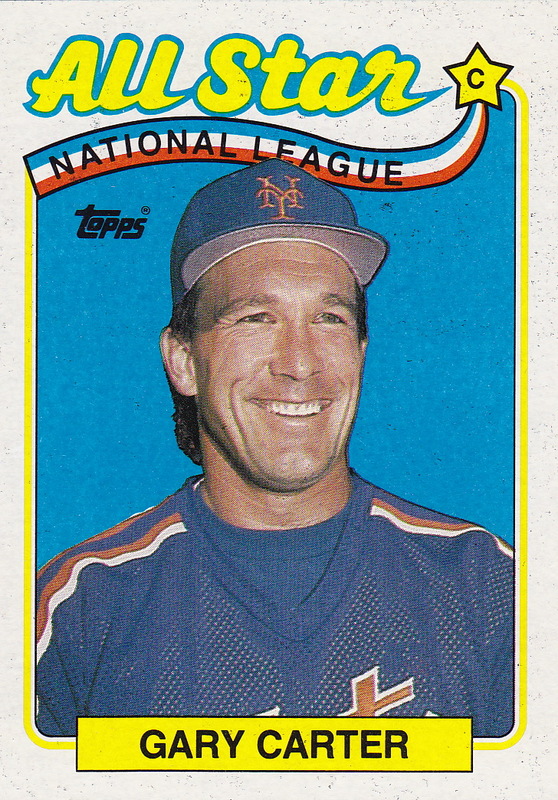 Now that I’ve finished that elusive 1989 Topps Batting Leaders insert – I’ve actually finished off the 1989 Topps “Master Set”. In fact – this means that I’ve finished off the Master Sets for all of the 1980’s! That’s a fairly big deal in this elusive, oft-sidetracked project of mine. 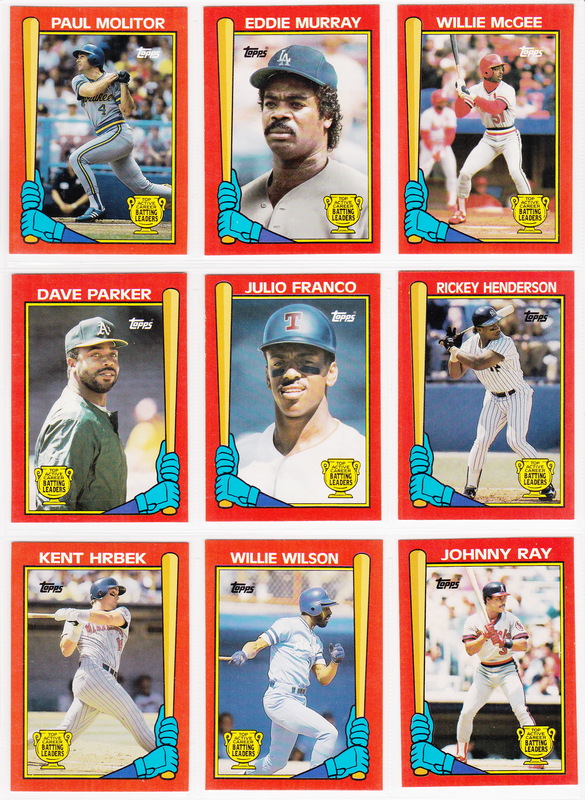 I could back and do a recap of the 1980’s – but I kind of already did that with a post about the base sets. I may decide to do a quick (by my standards) post showing how I got each of the cards. We’ll see. WHOA! This was a tough one! And it took me a while to get around posting about it. I finished this 22 card set back in April. 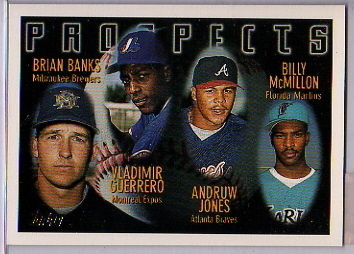 I always thought of the ’93 Topps Black Gold set as Topps first ever insert set. But of course there were glossy inserts from the 80’s and inserts like stamps as far back as the early 60’s. And then in 1989 and 1990 there were these Batting Leader cards that have become fairly tough to find – at least at a decent price. Set description: 22 standard-size cards with a bright red border on the front, with a pair of hands holding a bat on one side. There is a trophy that says “Top Active Career Batting Leaders” on the other side. The red backs show the player’s career batting average and the number of at bats he’s had. The 22 veterans with the highest lifetime batting averages with 765 minimum games played (conveniently equal to Kirby Puckett’s total at the end of 1988). 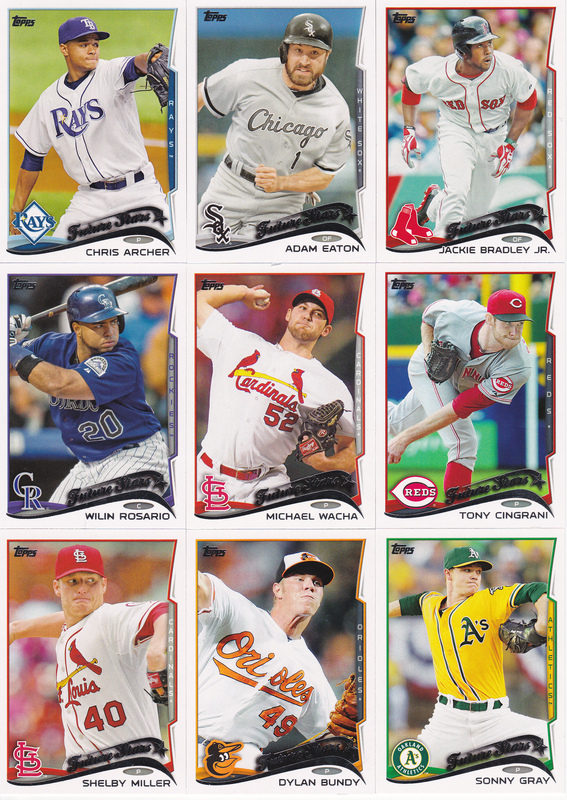 The cards were distributed one per Topps blister pack sold exclusively through K-Mart stores. The cards are numbered by K-Mart in order of average. 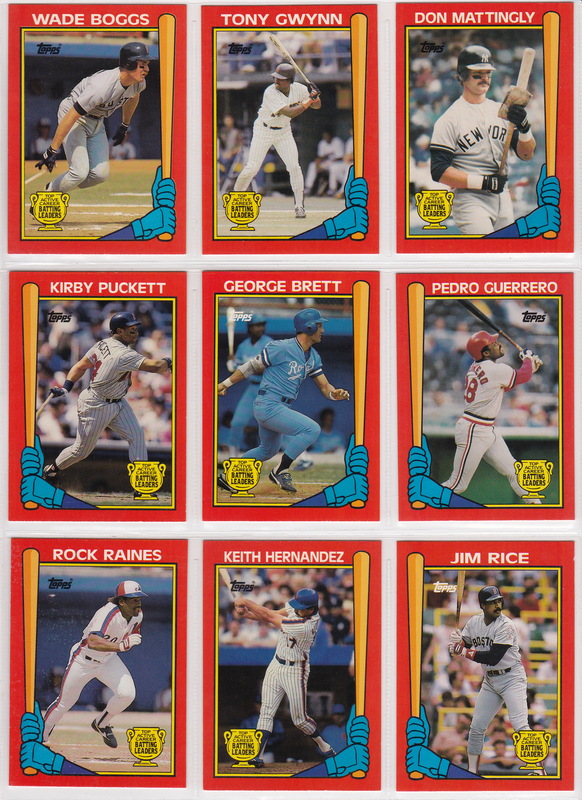 Inserted: K-Mart blister packs of 1989 Topps. 1 per pack. Thoughts on the set: In a word – awesome! The set has a theme and is numbered in order. 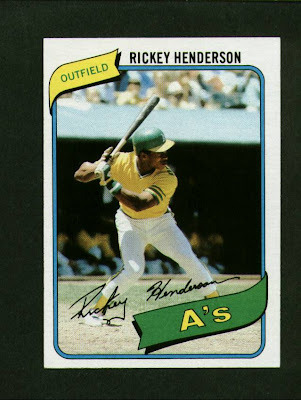 I seriously wish this was something Topps had updated every year – you could see people fall in and out of the set based on how they’d done or if a younger guy had gotten eligible with enough at bats. It’s hard to come by – and it costs some money, too! Back when I did a write-up on the set, I guessed it would cost me $100 to complete it. Over the past 4 years – I actually shelled out $150 to finish it! Trammell was one of 6 cards I got in an eBay lot back in April. I’m going with the guy who was in the lead, which is in this case the #1 card. Any other tidbits: Tony Fernandez was about 40 games short, otherwise he would have made the set at card #10. Ken Griffey and Bill Buckner should have been in the set – Griffey would have been 11th at .298, and Buckner would have been around 16th at .292. 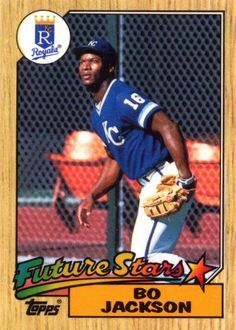 Neither had Topps cards that year (though Griffey was in the Traded set), which probably had something to do with it. I wanted to look at where these guys finished their career batting average compared to where they were at the end of the 1988 season. The info in parentheses is the stats at the time these cards came out – I put them in the order they ended their career. Only Gwynn, Franco and Molitor increased from the end of 1988 to the end of their career – which is quite an impressive feat! I went to a Card Show! This past weekend I went to a card show for the first time in over a year. I went to the National in Rosemont, IL, in late 2013, and yesterday I went back there for a card show put on by a company called Fanatics Authentics. It was much smaller than the National – but still a pretty good-sized show. There were a number of autograph guests, but I didn’t get any autos at this one. I though about adding a Jim Thome baseball to my 500 home run collection – but I didn’t want to spend the time or money right now. I felt a tinge of regret after going to the show – it was kind of neat to walk around and see what the dealers had. But there really weren’t a whole lot of cards that I was looking for. The set collector just isn’t catered to at a show like this. Even when I did find some bargain bins – it’s just so hard to dig through everything because the common cards just aren’t organized by number or anything like that. I did find some good stuff, though, after doing some digging. I found a guy who had some newer cards for 10 cents apiece. Some were 2014 Heritage, which isn’t that unique. 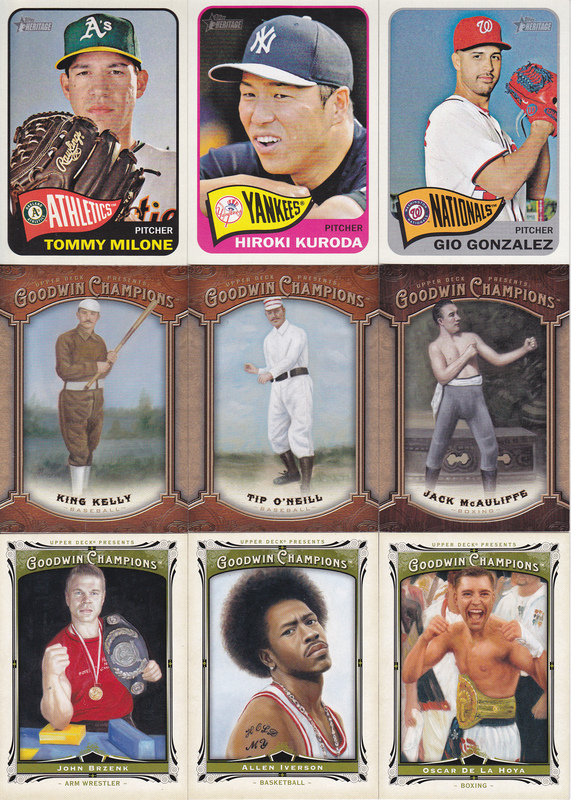 But he also had 2013 and 2014 Goodwin singles, which are more difficult to find. I got over 50 cards from those 3 sets – which put a good dent into my wantlists (and for 5 bucks, no less)! Toward the end of the show, I went back to a dealer that had a bunch of inserts and Heritage SP’s in binders. Another one of my pet peeves was in play here. I’d stayed away from the dealer because nothing was marked with a price. I hate that! When that happens, my experience is that the cards are usually priced more than I would want to pay. And that ended up being the case here. But I didn’t want to go home with only $5 worth of cards. So I picked up quite a few cards here. 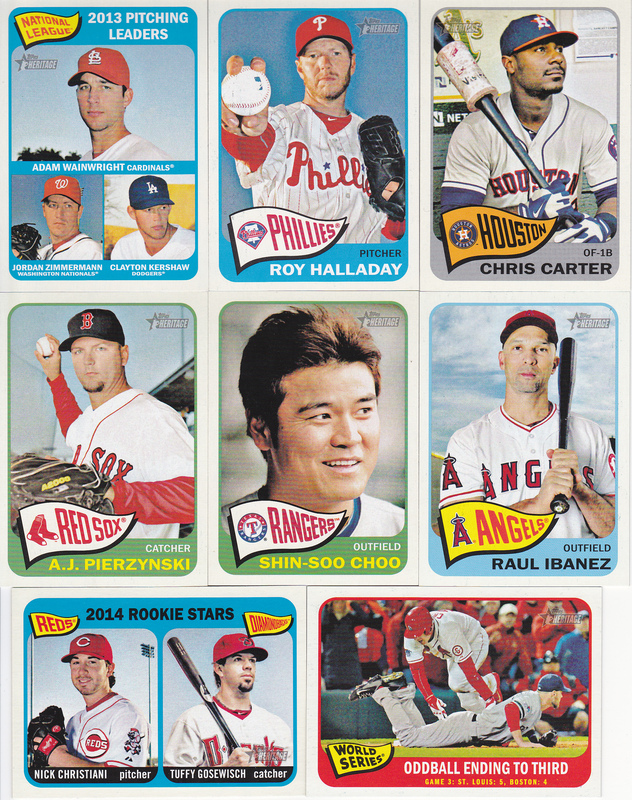 I got quite a few cards from 2014 Heritage – a number of SP cards and some inserts. I also got a few cards from 2014 Topps Archives. 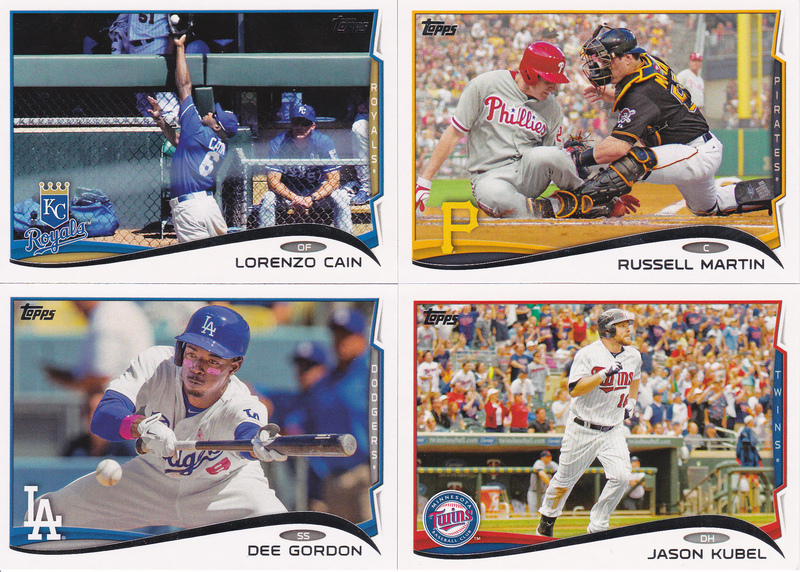 And, finally, some 2014 Topps inserts. Overall, it was pretty productive, and I listened to the Bengals game while I walked around – so I’m glad I did go. But I probably won’t be looking for a card show any time real soon. I hadn’t completed a trade in a pretty long time – but earlier this month I finished another one up with blog reader Matt. This was my second trade with Matt. In fact – he was the last person I traded with! Matt and I swapped some serious base cards. 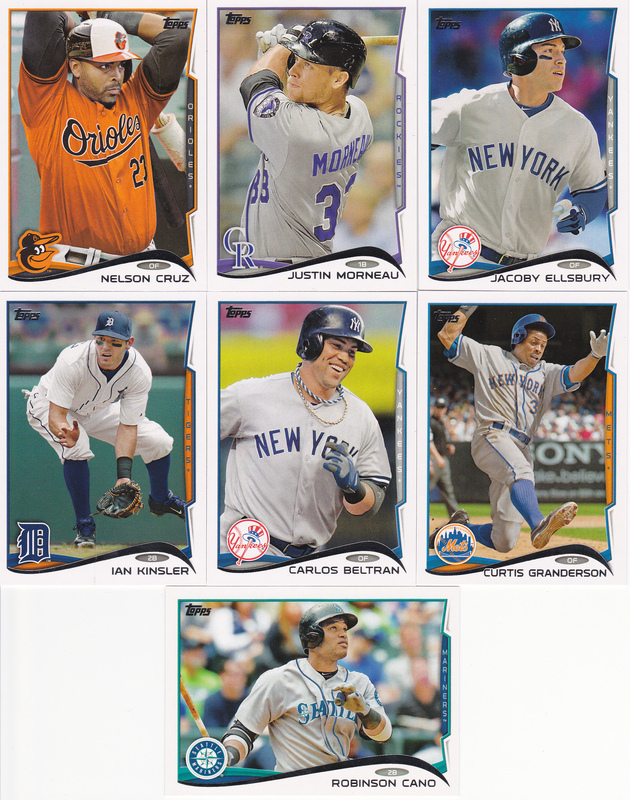 I sent Matt some 2012 Upper Deck, 2011 Topps and a bunch of Topps Update cards from the past few years. 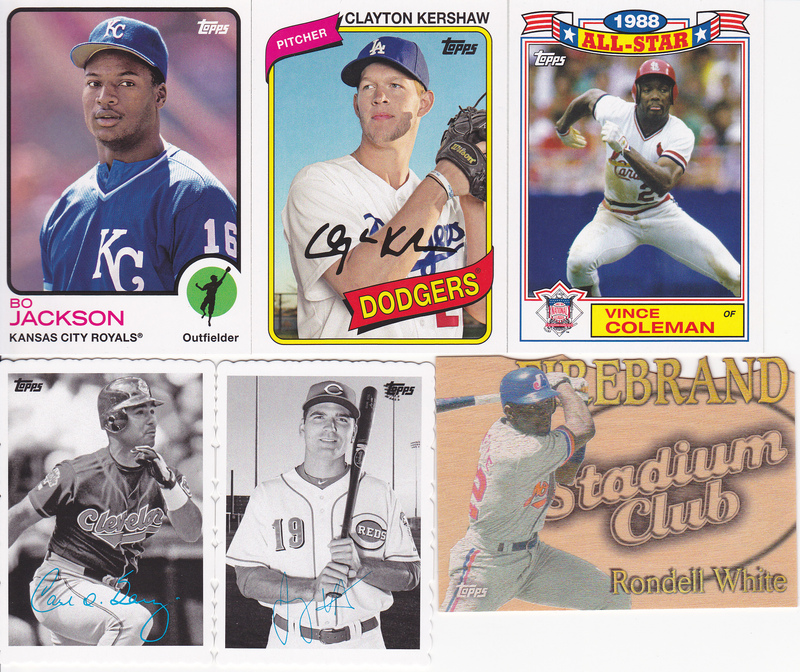 Matt sent me a ton of 2014 Heritage cards – 88 in fact, including 2 SP cards. He also sent me 4 insert cards. This put a huge dent into the regular part of the set. Here’s some of the highlights from those cards. 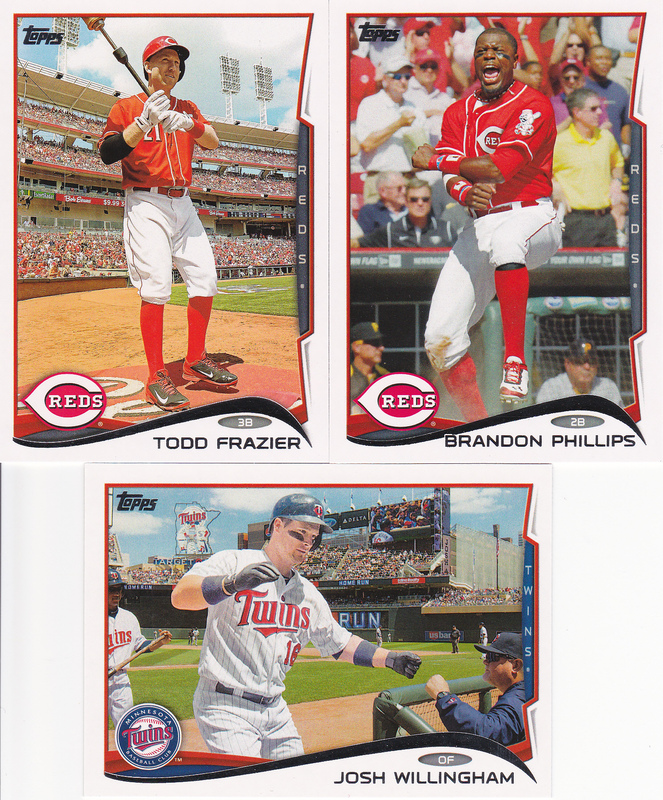 Matt also sent over enough series 2 cards to finish off Topps 2014 for me. Plus, he sent a few inserts and 2 cards from 2014 Archives (SP’s!) that I needed. Thanks again for the trade Matt! Jeff Bagwell seems like the biggest “snub” here, but I would have probably voted for Helton as the MVP (or at least put him 2nd behind Bonds but ahead of Kent) if I had the choice. Outfield was also very tough. Bonds was fairly entrenched as the top choice, but after that there were about 7 guys who you could argue for that last spot. I went with Andruw Jones because he was clearly the best defensive outfielder in baseball by this point. Couple that with his excellent offensive numbers; he just seemed to stand out a bit. I went with Vlad as the third choice for a different reason – his offensive numbers just seemed to jump out a bit more than the others. Jim Edmonds could have made it as a fielder nearly in Jones’ category, and even better offensive numbers, and Sammy Sosa or Gary Sheffield could have made it for their great offensive seasons. The starting pitchers weren’t as tough as usual – there’s probably an outside argument for Tom Glavine, Mike Hampton or Darryl Kile. But I think there was a clear-cut top 3. I went back and forth between Nen and Danny Graves, because Graves pitched 35 more innings. But ultimately the numbers for Nen were so much better and he still saved 41 of the Giants 90-plus wins. Nomar seems to have had the best season of guys not on there, but like Bagwell he just played the same position as one of the 2 best position players in his league; his numbers just don’t stack up to A-Rod. Carlos Delgado was also a tough slight here – he may have had the best pure offensive season in the league. I actually thought about putting Giambi at DH to include Delgado. But he only played 24 games there, whereas Frank Thomas played most of the season at the White Sox DH and was one of the best hitters in the league as well. Edgar Martinez won the RBI title and was almost as good as Thomas at DH. 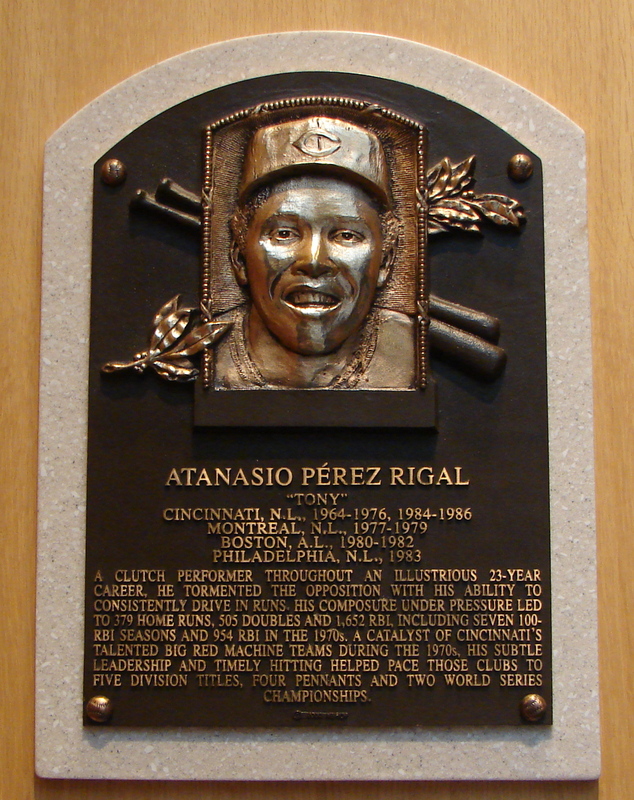 Catcher was also interesting – Ivan Rodriguez was amazing in the time that he played, hitting .347 with 27 homers. But injuries forced him to only 91 games, so I think Posada was the right choice here. Manny missed a lot of time as well – but he played in 118 games and would have been a legitimate MVP candidate if he had been able to play 150. Pedro was again so far ahead of the next best pitcher in the AL. I don’t know if I’ve picked a pitcher with as bad of a record as Mussina when I’ve done these imaginary All-Star teams. 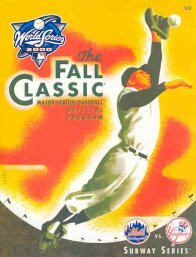 But Mussina was not only more effective than either Tim Hudson or Roger Clemens – but he did it over 30 more innings. In 1999 I picked Andruw Jones over Guerrero; this time it’s Jones over Sosa. That was a tough call like I mentioned, but if I wasn’t allowed Jones, I may have picked Edmonds and not Sosa. Hampton was actually in the 2nd year of a 5-year run of winning the Silver Slugger, but had never hit a homer in his career. He wet to Colorado in 2001 – and proceeded to hit 7 of them! Kind of amazing that the MVP didn’t win a Silver Slugger, but Delgado was that good. Giambi was actually a pretty decent defensive first baseman, so I can understand the seeming inconsistency here. Magglio had a good season, but I’d have picked a few other guys ahead of him, especially Damon. I’ll post my standard All-Star selections and compare to the silver slugger winners for the year in the next post.